LAS VEGAS, May 18, 2017 /PRNewswire/ -- Caesars Entertainment Corporation (NASDAQ:CZR) ("Caesars Entertainment") today announced that, as part of its continued commitment to providing guests with the best possible experience, the company will be launching a $90 million complete renovation of 1,270 rooms at Flamingo Las Vegas. The renovation will begin in late August 2017, with the first guest arrivals expected in November 2017, and final completion of all rooms expected in the second quarter of 2018. "Flamingo Las Vegas is an iconic resort filled with 70 years of rich history and unforgettable experiences," said Bob Morse, President of Hospitality for Caesars Entertainment. 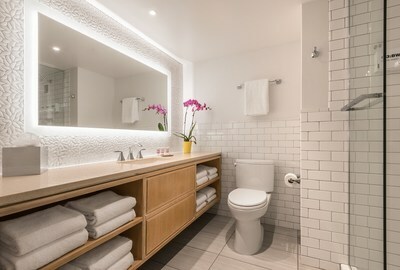 "The renovated rooms pay homage to the property's past, while also giving it a fresh and modern new look." 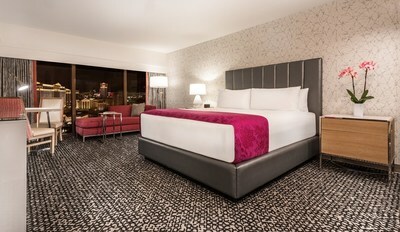 The fully renovated rooms will feature unique, contemporary and retro-chic designs with accents that celebrate Flamingo's rich history as the centerpiece of the Las Vegas Strip. Designed by Forrest Perkins, the rooms were inspired to sparkle like glitter and shine like champagne, with vibrant hues of gold and bright pops of flamingo pink, keeping true to the property's character and charisma. Flamingo Las Vegas offers a wide variety of dining options with eateries such as Jimmy Buffett's Margaritaville, Center Cut Steakhouse, Paradise Garden Las Vegas Buffet and Carlos'n Charlie's. An all-star line-up of entertainers includes brother-sister duo Donny & Marie, Legends in Concert, Piff the Magic Dragon and X Burlesque. In 2016, Caesars Entertainment upgraded more than 4,800 rooms at four of its Las Vegas resorts, including Caesars Palace, Planet Hollywood Resort & Casino, Paris Las Vegas and Harrah's Las Vegas. By the end of this year, more than 50% of Las Vegas rooms at Caesars properties will have been upgraded since 2014, demonstrating the company's commitment to providing the best experience possible for its guests. This release includes "forward-looking statements" intended to qualify for the safe harbor from liability established by the Private Securities Litigation Reform Act of 1995. You can identify these statements by the fact that they do not relate strictly to historical or current facts and by the use of words such as "will" or "expected," or the negative or other variations thereof or comparable terminology. These forward-looking statements are based on current expectations and projections about future events. Investors are cautioned that forward-looking statements are not guarantees of future performance or results and involve risks and uncertainties that cannot be predicted or quantified and, consequently, the actual performance and actions of CEC may differ materially from those expressed or implied by such forward-looking statements. Such risks and uncertainties include, but are not limited to, the following factors, as well as other factors described from time to time in the reports filed by CEC with the Securities and Exchange Commission: that all the conditions to completion of the project are met; receipt in a timely manner of all necessary governmental approvals, licenses and permits; the effects of local and national economic, credit and capital market conditions on the economy in general, and on the gaming and hotel and restaurant industries in particular; construction factors related to the project, including delays, increased costs of labor and materials, availability of labor and materials, zoning issues, and building permit issues; the ability to timely and cost-effectively integrate the project into our operations at CEC; changes in laws, including increased tax rates, smoking bans, regulations, third-party relations and approvals related to the project and CEC; and our ability to recoup costs of the capital investment of this project through higher revenues.